LUCENA CITY, Philippines — At least five persons, four of them children, died in a two-hour fire that razed five houses in Tayabas City on Saturday night, police said on Sunday. A report from the Quezon provincial police’s public information office said the fire started in the house of Virgilyn Chavez Rey and spread to four other houses in Sitio (sub-village) Walang Diyos in Barangay (village) Lalo at 10 p.m. 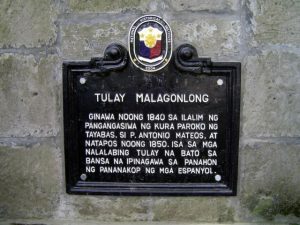 This Sitio is up for renaming: Walang Tanod; Walang Bombero; Walang Tubig; Walang Meyor;……o Bakla Gobernador…hehe LAYO NUN AH? He was left for dead for an hour, his bullet ridden body slumped face down in a dimly lit corner near Manila Bay, soaked in his own pool of blood dripping onto the concrete pavement. 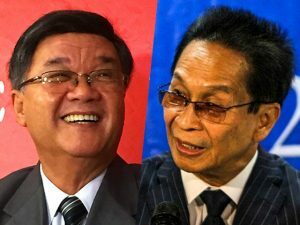 The Gordon Committee has sent a SUBPOENA to Santiago and shall be held in CONTEMPT shortly for springing up to life when reporters began clicking to the embarrassment of the operating team.”Yari yang Santiagong yan,” a Gordon committee staff was heard murmuring. “Siyam pala ang buhay. Nakaka-walo ng ambush yang gagong yan…Pero dito sa CONTEMPT tigok sya!” the staffer added. Nancy Binay plans to join the Opposition because of this DUTERTE Announcement. “Bakit naman uubusin ang mga botante ng Dad ko?” she loudly complained recalling that about that number voted Jojo Binay in the May 2016 Prexy elections. MANILA – Long before Leila de Lima joined government as chair of the Commission on Human Rights (CHR) and eventually, secretary of justice, she was in private practice focusing on election law. Among her most notable clients were two of her colleagues in the Senate–Senate President Koko Pimentel and Senator Alan Peter Cayetano. When Leila sent her BILLS to her erstwhile clients, Cayetano and KOKO told her to call Janet Lim Napoles who told THEM she shall foot her legal costs. “Kaya bistado ko mga kumag na ini kung sain galing datung nila,” Leila sighed. Senator Leila De Lima’s claim that convicted kidnapper Jaybee Sebastian was a government asset is stupid, Justice Secretary Vitaliano Aguirre II said on Friday. MANILA – There was sigh of relief from former “On the Wings of Love” star Albie Casiño after news broke that Jake Ejercito is the father of Andi Eigenmann’s daughter, putting an end to the longstanding rumor that hampered the early parts of his career as an actor. 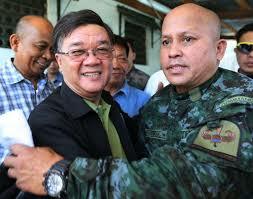 “See, am vindicated after all…All along alam ko na si Jake ang Erpat. Ang tawag jan KUTOB. In the same manner na ang benificiary ng DRUG MONEY sa Bilibid eh si Leila. Kutob yan which I acquired sa kahahasa in my 44 years as a lawyer. ‘Di n kelangan ng proof.” DOJ Sec. Vit Aguirre boasts.